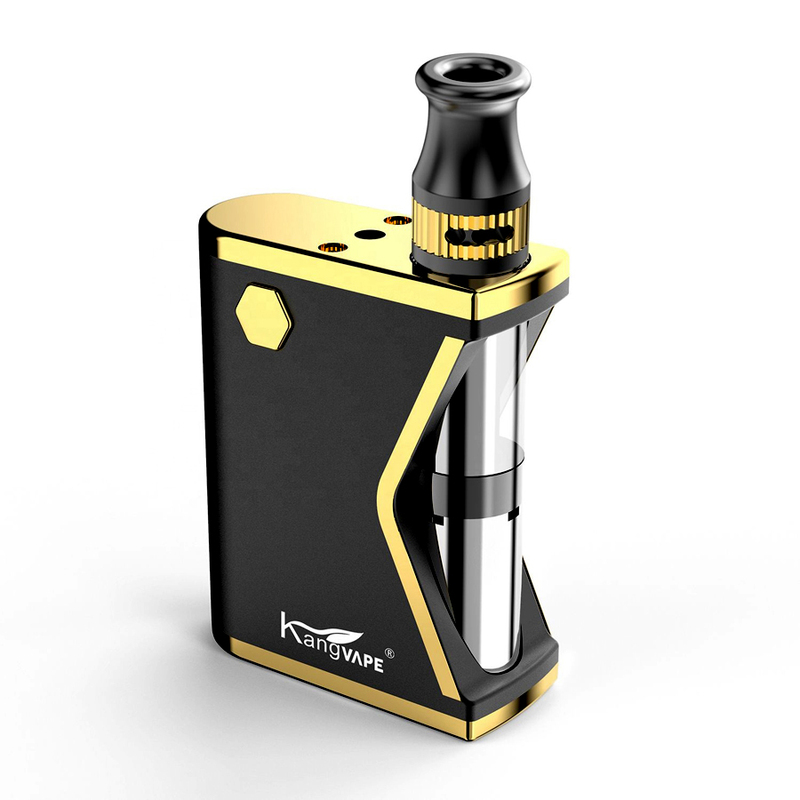 The Mini K Box Kit includes both an advanced variable output cartridge battery and premium refillable glass oil cartridge each with matching gold color accents for a real look of luxury. 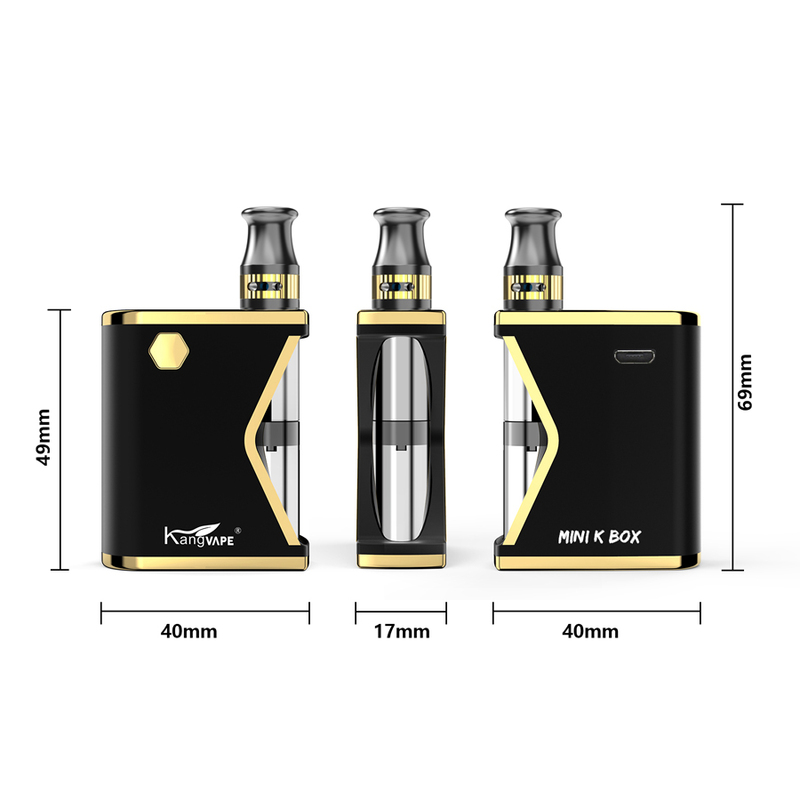 The included oil attachment easily attaches to the Mini K Box's 510 thread connection that can also support most other cartridges measuring in as big as 11.2mm in diameter. You may not need to worry about using others for quite some time. 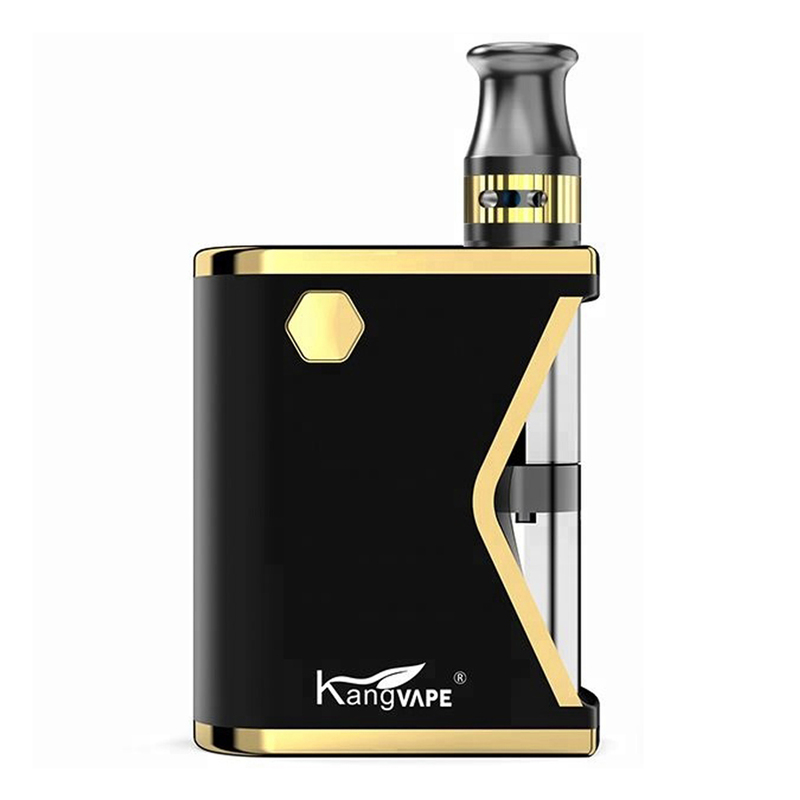 The original oil cartridge has a cutting-edge wickless ceramic core element that heats quickly and delivers thick flavorful vapor every time. 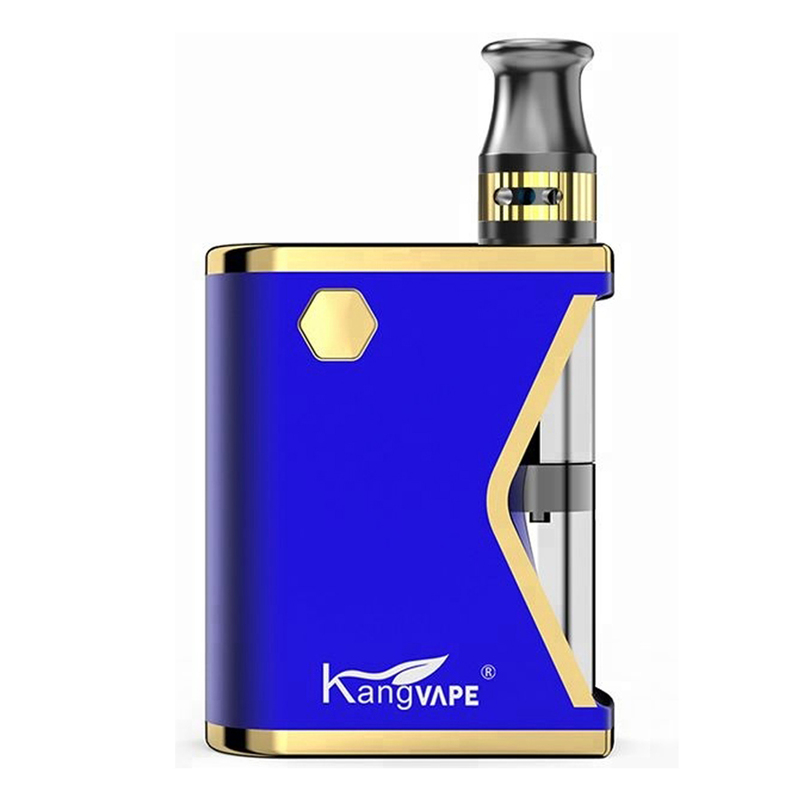 It also has an easy-fill cup style structure with 0.5mL capacity that is virtually leak-proof and top adjustable airflow control ring for full control over your results. 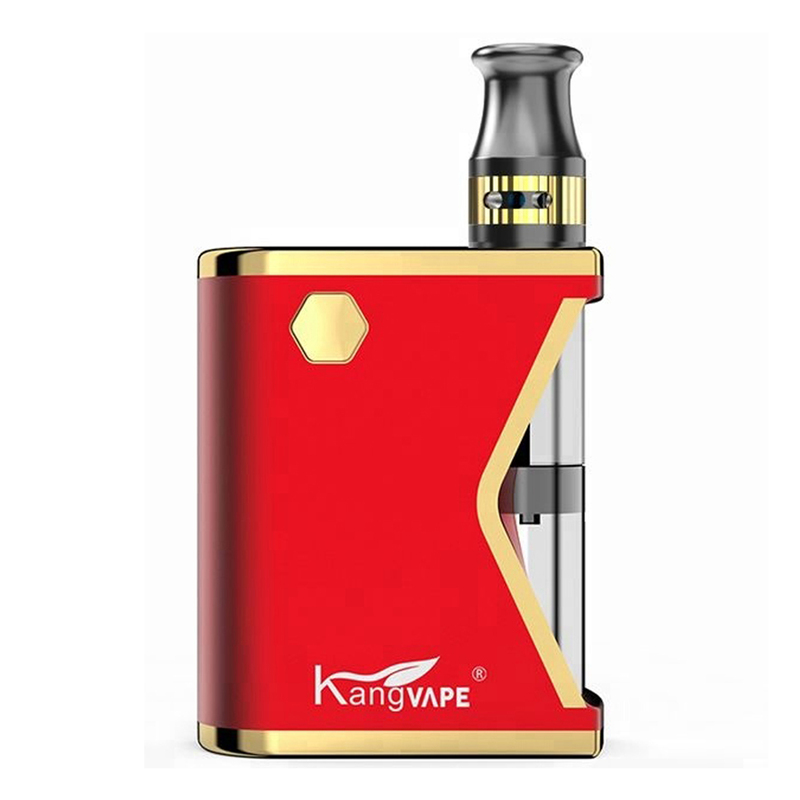 Kangvape's K Box Mini has a premium 400mAh battery packed inside that keeps you going for days on a full charge. It has easy one button control that keeps things as discreet as can be during travel. Give it five rapid clicks to lock or unlock the battery. 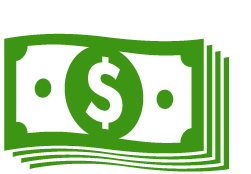 Three fast clicks will change the voltage output settings and two starts a 15 second preheating cycle (Green LED). On the top of the device you have an LED light indicator that shows every step of the process. 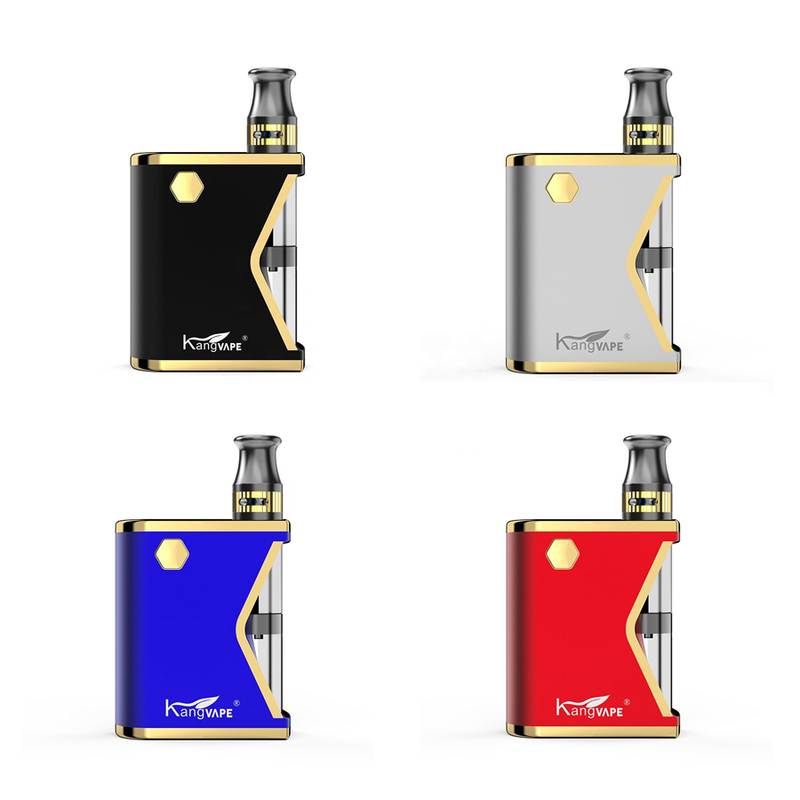 When the voltage is change you will see the LED change in color (3.4V Red, 3.7V Blue, 4.0V White) and each time you let go of the control button the LED will flash a second time to indicate it's battery level. (100-70% White, 70-40% Blue, 40-10% Red). 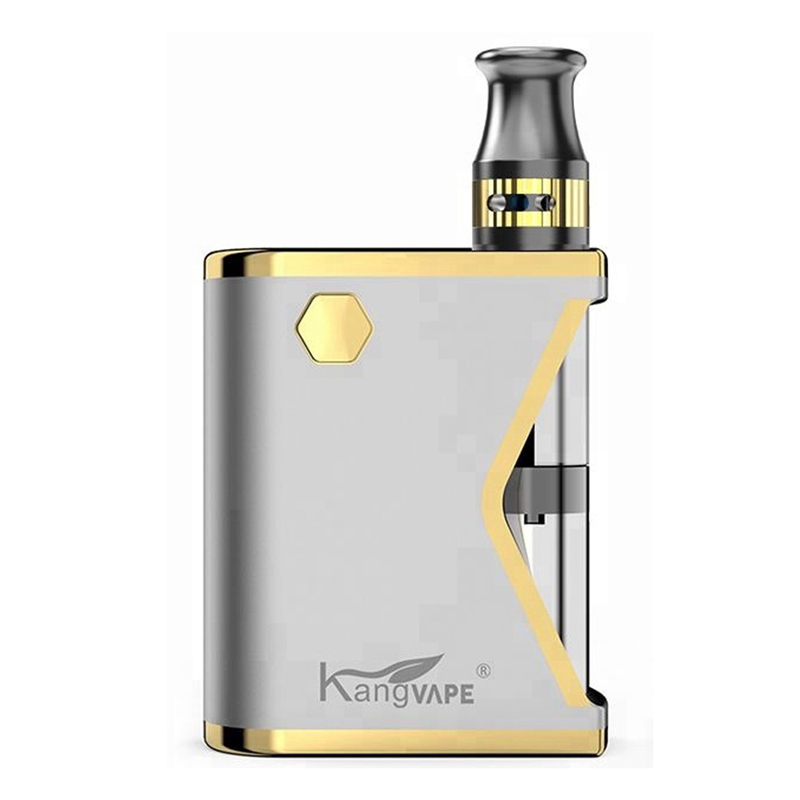 The Kangvape Mini K Box Kit measures in at about 1.8" tall by just over 1.5" wide, it makes the perfect device to take with you to easily enjoy your favorite concentrates throughout your day without making travel difficult. Grab yours today in one of four colorful options.